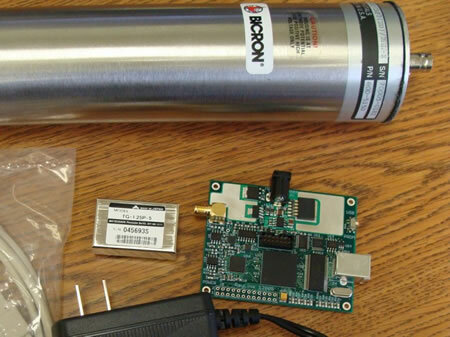 A new digital radiation detector developed at Oregon State University provides a relatively small tool that is able to detect and measure several different kinds of radiation quickly and effectively. Interested, Mr. Spock? The spectrometer, developed over 10 years by Hamby and Abi Farsoni, an assistant professor in the College of Engineering, can quickly tell the type and amount of radionuclides that are present in something like a soil sample – contaminants such as cesium 137 or strontium 90 - that were produced from reactor operations. And it can distinguish between gamma rays and beta particles, which is necessary to determine the level of contamination. 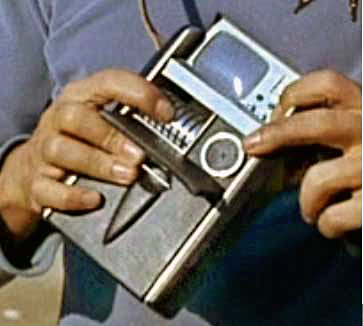 As with all good sfnal devices, like the Star Trek tricorder, the digital radiation spectrometer is a general purpose hand-held tool that is perfect for quick, incisive analysis. From NEW TECHNOLOGY TO SPEED CLEANUP OF NUCLEAR-CONTAMINATED SITES (OSU press release) via IBtimes; thanks to Winchell Chung for the tip on this story.